The tragic killing of Cecil the Lion by an American trophy hunter sparked outrage around the world. The story led to calls for the U.S. government to ban the import of lion trophies, according to a report in The Washington Post. However, some wildlife advocacy groups are arguing that big cats in the US subject to trophy hunting also deserve attention, including mountain lions. Mountain lions have varying protection across the U.S., and wildlife groups are concerned that some state wildlife agencies are seeking to reduce protection and increase hunting quotas. The news story stated: "Currently, the only cougar populations in the country that have federal protection are the Florida panther and the Eastern cougar, the latter of which is believed extinct and has been proposed for delisting under the Endangered Species Act. 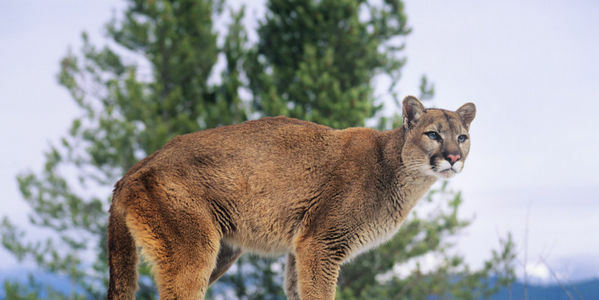 Most other populations are unprotected and spread throughout the West, where the only state that currently forbids cougar hunting is California." Several U.S.states are looking to increase mountain lion hunting quotas for a myriad of reasons: "including the desire to reduce human conflict, protect livestock or increase native deer populations." But wildlife advocacy groups say research suggests increased hunting quotas actually cause more conflict. Younger mountain lions often move into the territories of big cats that have been killed, and younger lions are more likely to kill livestock and pets or take refuge close to human settlements. After the recent extinction of the the Eastern cougar, more care needs to be taken before any increases are made. Will you join me in urging the US Fish and Wildlife Service to engage more effective ways to manage mountain lion populations and to propose a ban on trophy hunting to protect the species until more research on population control has been conducted? The tragic killing of Cecil the Lion by an American trophy hunter sparked outrage around the world. The story led to calls for the U.S. government to ban the import of lion trophies. After the recent extinction of the the Eastern cougar, more care needs to be taken before any increases are made. Please engage more effective ways to manage mountain lion populations and to propose a ban on trophy hunting to protect the species until more research on population control has been conducted.